Seyma Subasi was born in 02 July 1990, Samsun, Turkey. Is an actress and costume designer, known for Haneler (2009), Var misin? Yok musun? (2007) and Yasemince (1997). 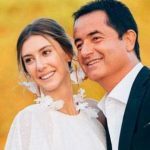 She married with Acun Ilicali since 2017. They have one daughter. Seyma graduated Istanbul Aydın University Fashion Design Program. She won the contest “Var mısın Yok musun”. She also worked as a costume designer for the “Yok Böyle Dans” contest program. Seyma met famous businessman with Acun Ilıcalı in the name of “Var mısın Yok musun” contest. During the period Var mısın Yok musun and After long time dating, the couple married in 2017.